As a person who has spent a lifetime loving Libby, I hope that everyone in the area will consider making this cleanup effort the one big last chance to tell the world that Libby and the surrounding area have a clean bill of health. Hopefully, Superfund Status and CARD will continue for many years since many people are ill, may still develop asbestos-related illnesses, and may be in need of medical services. I have given my input, and I hope it helps in some way to encourage others to be heard on this topic. My comments are strictly my own opinion based on my interest in Libby. I have not been living there for a long time, and so my ideas are voiced from afar with the best of intentions. My input letter and response from Rebecca Thomas, EPA, can be viewed at the end of my post. Everyone has a chance to give input to the EPA, Rebecca Thomas, regarding this process. The last extension is August 7. Everyone needs to be part of this process and let the EPA understand the whole picture as each resident sees this process. Working together will make the difference in success—or not—of this process. With everyone working together, giving a little here, gaining a little there, I hope that Lincoln County as a whole creates for future generations the best solutions for a healthy, happy life in Libby. 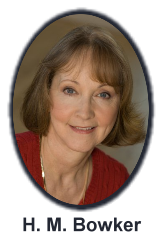 Having Libby and surrounding areas clear of asbestos is an admirable goal. 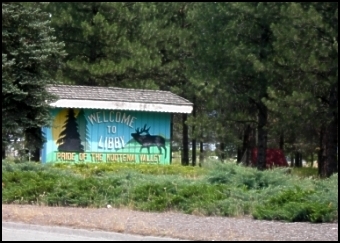 Being able to say that all possible action has taken place to insure that asbestos no longer contaminates the area could open up all sorts of opportunities for the Libby area: a stronger economy, real estate sales, new people moving to the area, increase in tourism—the list of good results is long and exciting. How can that happen when some people will not allow access to their properties for inspection and/or cleanup if asbestos is, indeed, present on those properties? Those few people who do not want the EPA to make sure every place is safe leaves everyone vulnerable to the potential continuation of asbestos contamination. Who would have thought that airplanes would crash into the Twin Towers, releasing Monokote into the air—a product made from Libby’s asbestos-contaminated ore sprayed on the beams—that contributed to deaths of rescue workers and breathing New Yorkers during the 9/11 terrorist attack? Accidents happen. Fires happen. That’s why we have fire departments. Lightning strikes, cigarettes get tossed while still lit, people make mistakes that cause fires. What if one of the sites that refuses to be inspected has contaminated insulation in the walls and attics? What if rescue workers die as a result of this lack of willingness to participate in the cleanup process when one of these places burns? What if innocent people are exposed when remodeling, or tearing down, or by just checking out a deteriorated property? Can you imagine children in an old, contaminated building, playing in the asbestos-contaminated vermiculite like we did when we were kids? I encourage the EPA to make another strong effort to get every property owner to participate in the cleanup process by allowing access and cleanup where needed. I understand that people have a right to privacy. Local Libby citizens also have a right to all that goes with a total cleanup for Libby and the surrounding area. Local Libby people are the best recruiters to encourage their neighbors in a positive way to say “yes” and make this work for everyone’s benefit. I love Libby. I grew up in Libby, and I have the highest hopes for Libby’s future. Thank you for getting in touch. We hope to select a final remedy this year and complete the cleanup in the next 3 – 5 years. Thanks again for your thoughts and your on-going interest in this issue!